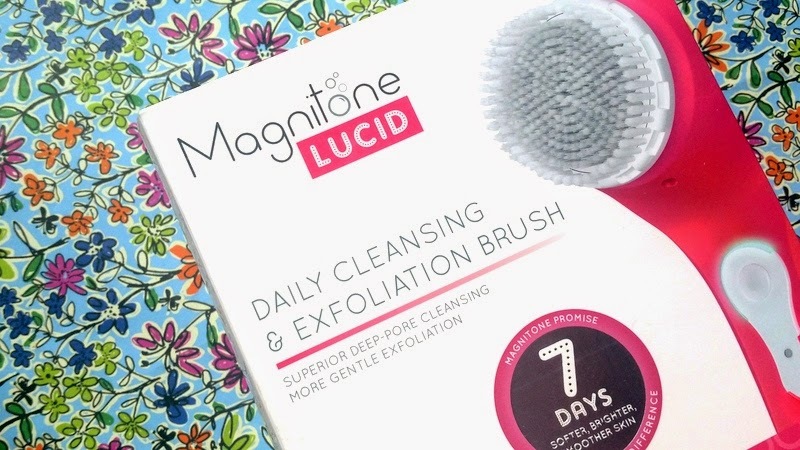 As many of you may already know during the #BHTWITTERPARTY many bloggers were given the opportunity to review the Magnitone Lucid Daily Cleansing & Exfoliating Brush*. I’ve heard a lot about cleansing brushes but never had the opportunity to try one out until now. Like every girl I know, I seem to be on a never-ending quest for clearer skin, and Magnitone’s 7 day promise to clearer, brighter and softer skin PLUS Pixie Lott’s endorsement (I mean who doesn’t want skin like Pixie Lott? ), was just too a good opportunity to pass up! The Magnitone Lucid is available in four colours; Aqua Green, Plush Pink, Dazzling Blue or Sunshine Yellow. The brush gives a clean that is so gentle (even more so than normal hand-washing!) that it’s suitable for daily use on all skin-types, even on dry and delicate skin. I’ve added the cleansing brush to both my morning and night skincare routines in conjunction with my existing cleanser, Time Bomb’s Take-Off Time Cleansing Cream* (review coming soon), in order to enhance it’s absorption and remove deep-pore impurities that cause breakouts. I simply apply my cleanser to the detachable brush head and allow the Active Electromagnetic Technology to send rapid vibrations (10,000 gentle rotational pulsations) into my skin using it’s built-in auto-stop 1 minute timer. The vibrations gently exfoliate the skin removing impurities and tackling rough and dry patches of skin. The brush has two modes – sensitive and deep clean, I prefer to use deep clean. It’s amazing how much makeup, oil and dirt the brush removes! My skin has never felt as clean as it has using the Magnitone Lucid. After only a week my skin looks so noticeably clearer and radiant I’ve actually had people commenting and complimenting me on it! Also, the pores on my nose seem to have diminished and my skin has been free from breakouts and shine. What I love about the Magnitone Lucid is that such little effort was needed to include it into my daily skincare routine. 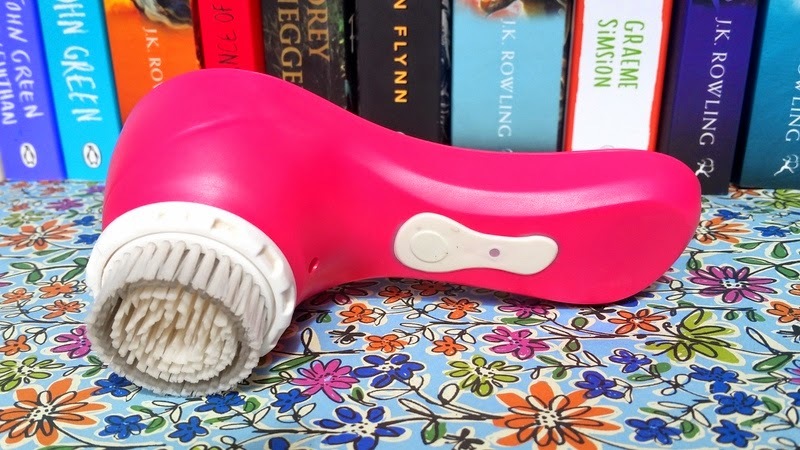 It only takes two minute a day to use the cleansing brush with your current cleanser, plus it’s 100% waterproof so you can use it in both the bath and shower! 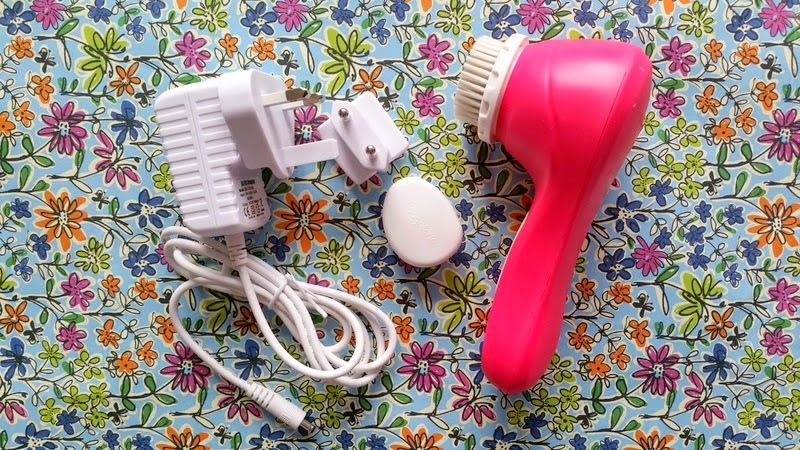 The brush also comes with a magnetic ‘Clink’ wireless travel adapter, with 2 weeks use in a single charge so it’s the ultimate travel buddy – perfect for my honeymoon! The Magnitone Lucid Daily Cleansing & Exfoliating Brush retails for £69.99 and is available here. I suggest you sign up to their newsletter to receive amazing offers and promotional codes! "The Time Bomb Skincare Collection"
"Blogging | Top 5 Pinterest Accounts"